York Arms is offering .22 caliber silencers. 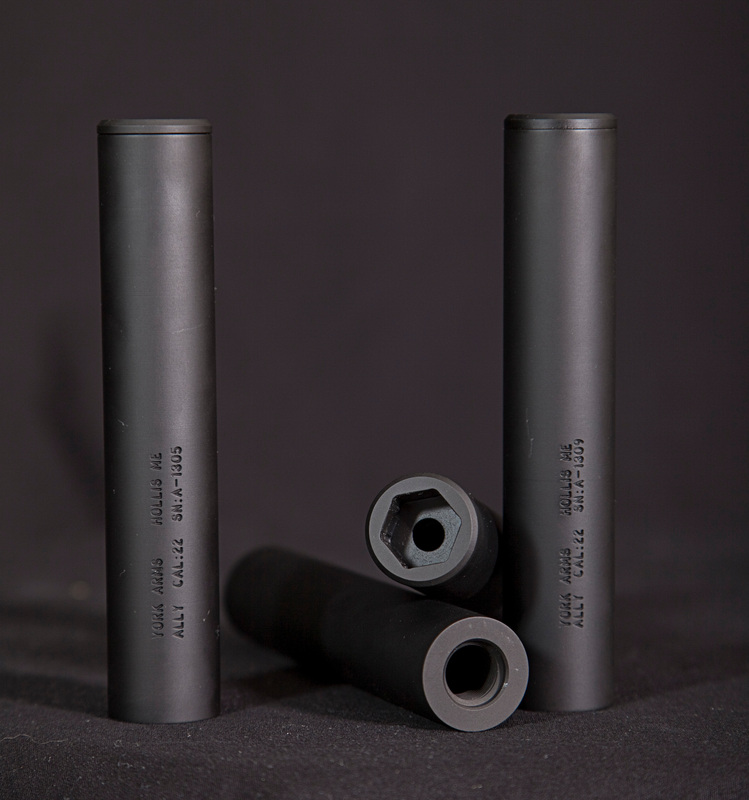 These are user-serviceable ultra light weight (3.1oz) silencers. They are two piece construction, all aluminum, and disassemble for cleaning. They are also rated for full auto use. The standard finish is mil-spec hard coat anodized black. Hydropdip finishes are also available. Retail cost is $275 (including disassembly wrench), dealer pricing is available. These do reqire a NFA transfer to your local FFL/SOT, we can't ship these direct.